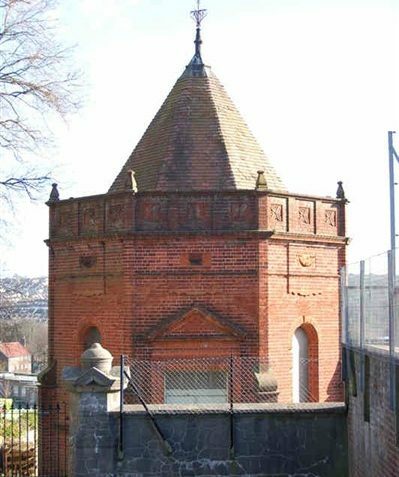 At the end of Florence Place is the Freehold Burial Ground, given to the Brighton Synagogue congregation in 1826 by T.R.Kemp for use as a cemetery; it has an unusual octagonal, red-brick mortuary chapel with a turret roof. 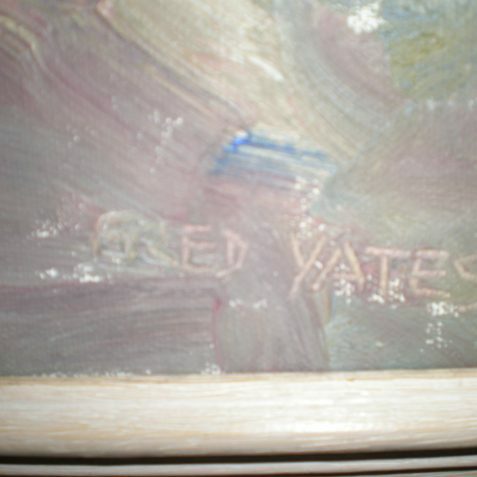 The first three images are of an original painting by Fred Yates. Albert Treharne kindly allowed us to reproduce them here. 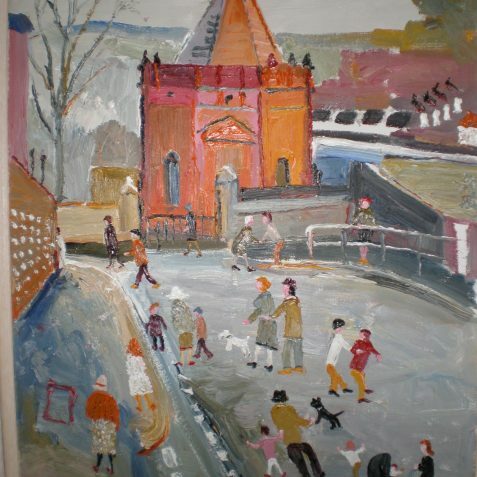 Born in 1922, Fred Yates grew up in Urmston, a suburb of Manchester. 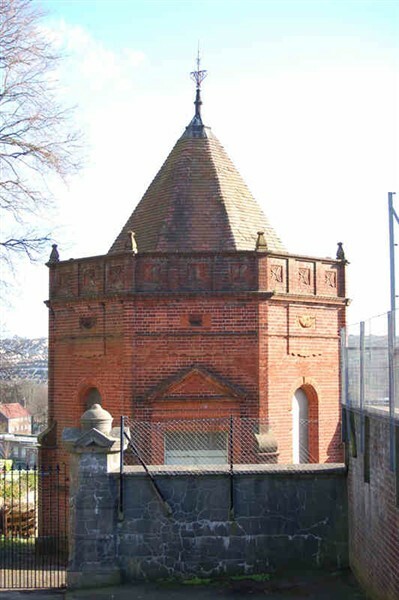 He lived for a time in Brighton and produced many of his most famous naive paintings here. 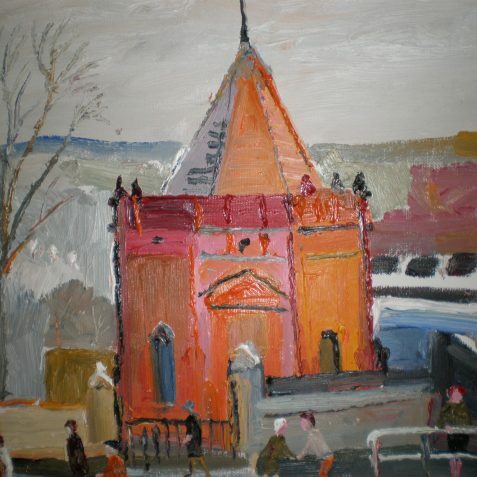 This painting is of the Florence Place burial ground, and features the mortuary chapel. 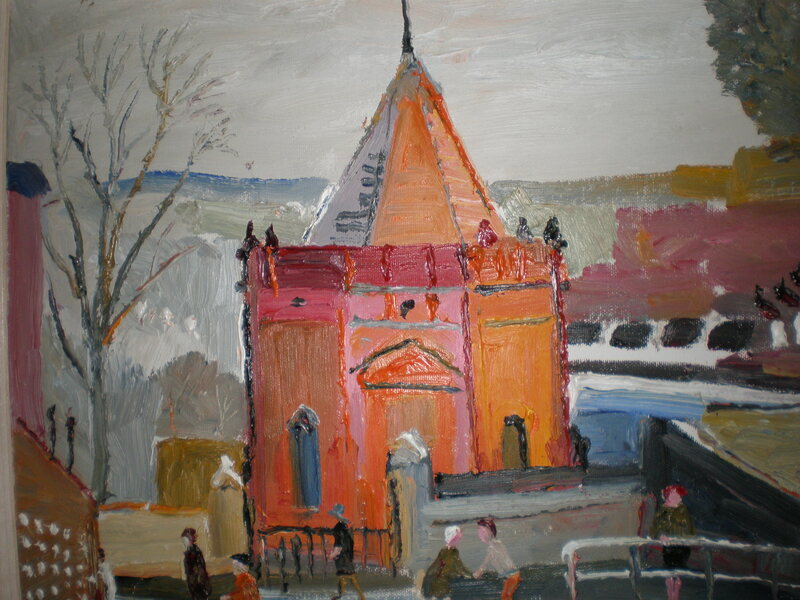 Was this artist my art teacher at Queens Park School for a while between 1952 to 1955? It is with a real sadness I have to inform you; Fred Yates died on the 7th July 2008. He will be greatly missed. 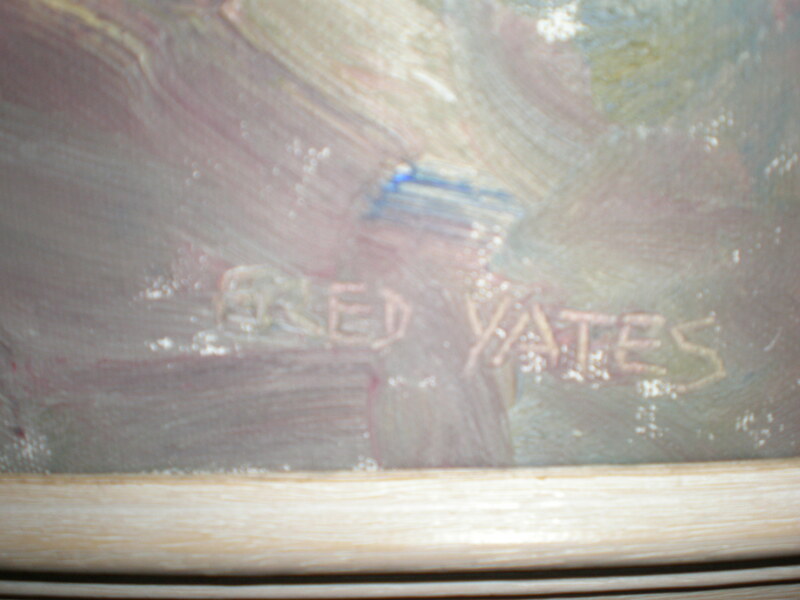 Type into search ‘Fred Yates’ and you can read his orbituaries includind ‘The Times’ and ‘The Independent’ etc. 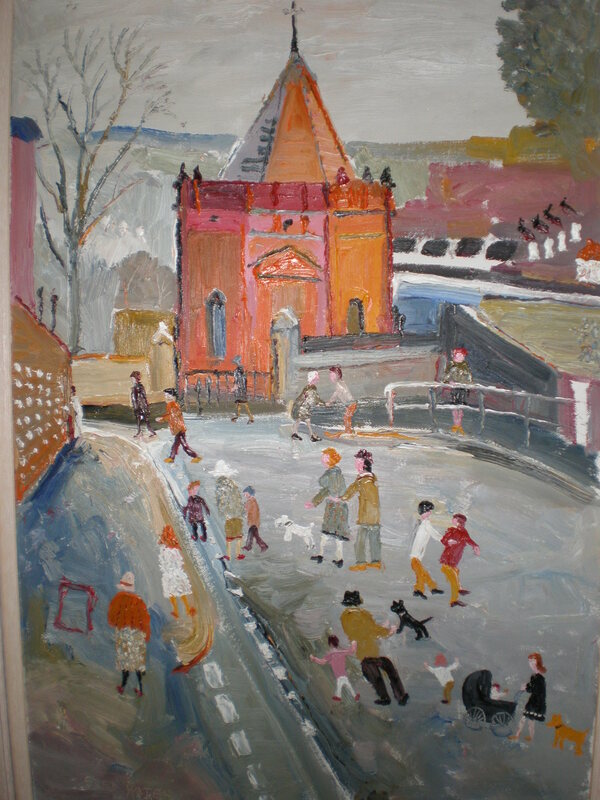 My husband, whose art teacher was Fred Yates around the end of the 1950s when he was teaching in Lewes, often wonders what happens to the pictures he did of Every’s Phoenix Iron Works in Lewes around this time. Are they in the Brighton and Hove Art Gallery?